The goat project has five groups that contain five families in each (5-10 people in each family). The project started in 2009 and the now existing members thought goats would suit them because they have good areas for raising goats. The benefits they saw were milk and meat, both for the families and for selling. Now they also get manure for their gardens, money for school fees, uniforms and books. The groups also think that they get a great experience by raising animals, knowledge how to start a project and their economy has increased significant. The challenges that the project is facing are though many. 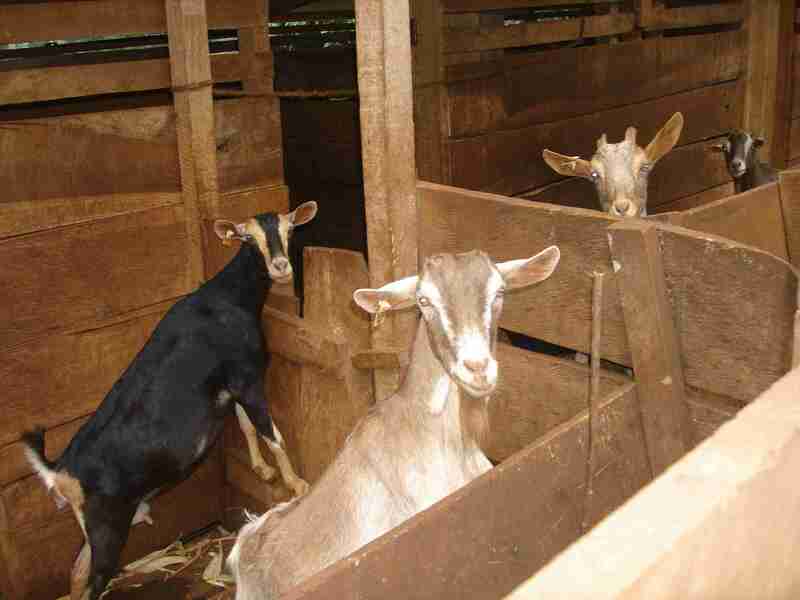 The goats are from different specie and they require more food and give more food, they also need good medical care. Because of the different specie they are more expensive and the people in Shimbwe do not have the economy to buy them, therefore transport to richer communities is needed but costs too much. For the project to develop and continue in a good way the members have to be independent and not lean on Minjeni. This will help the community to develop knowledge of their own and also to increase the economy.